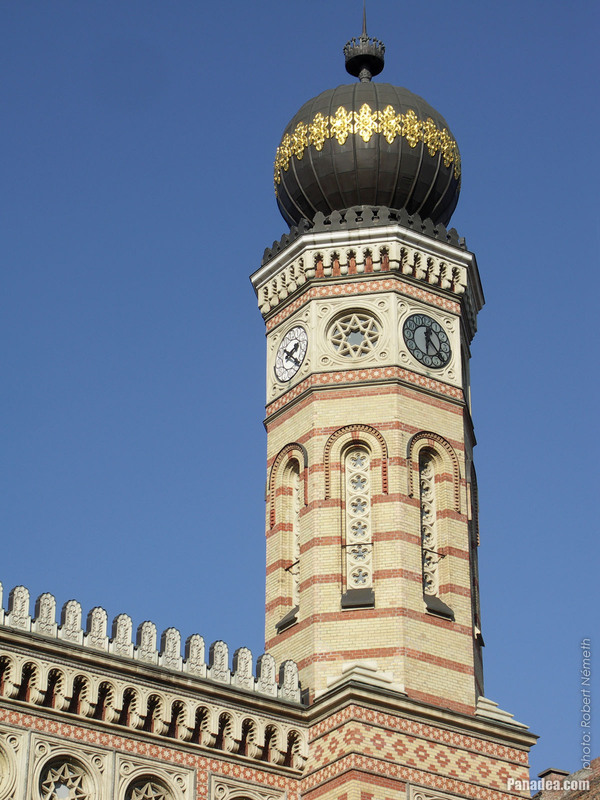 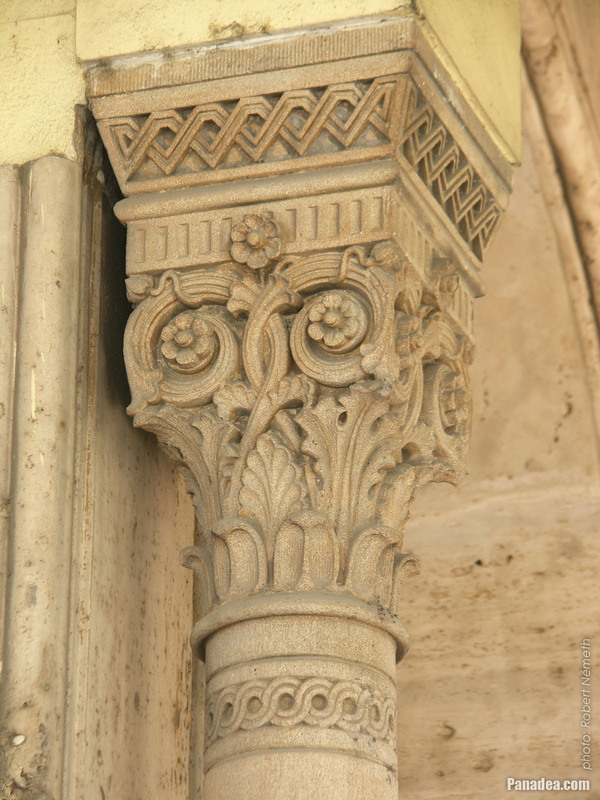 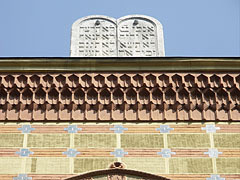 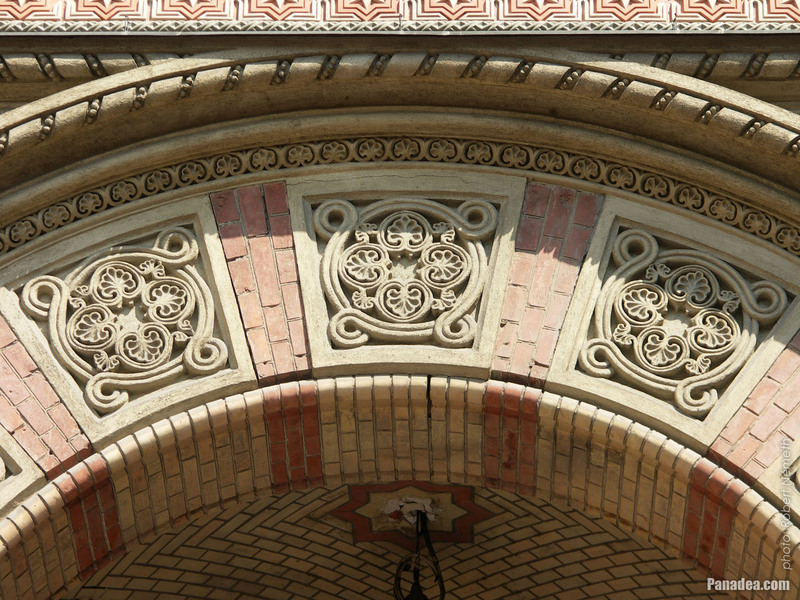 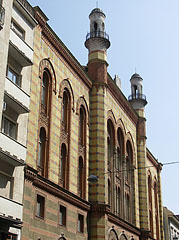 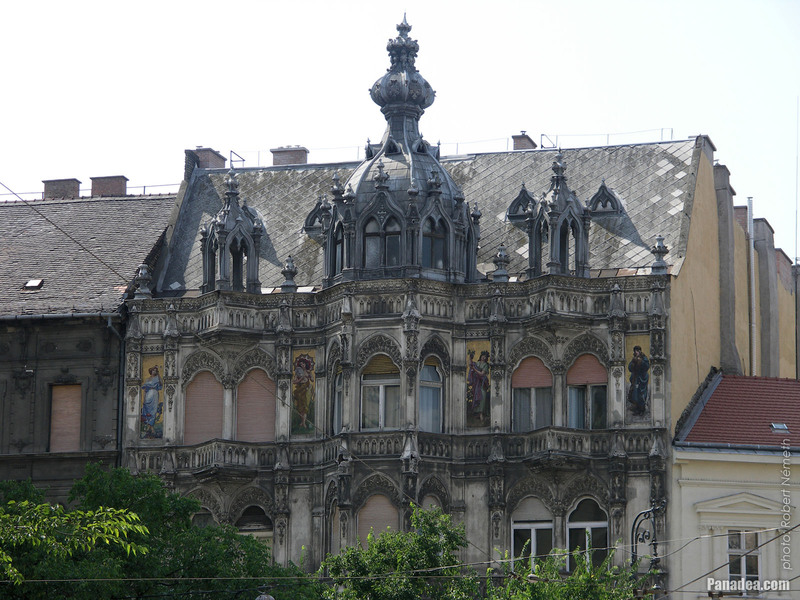 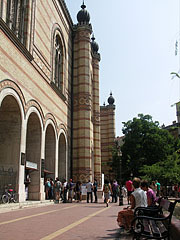 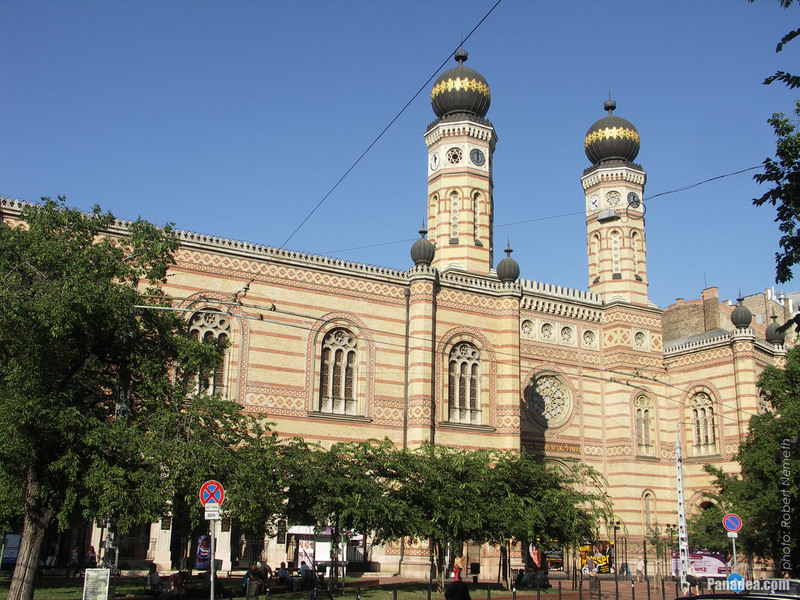 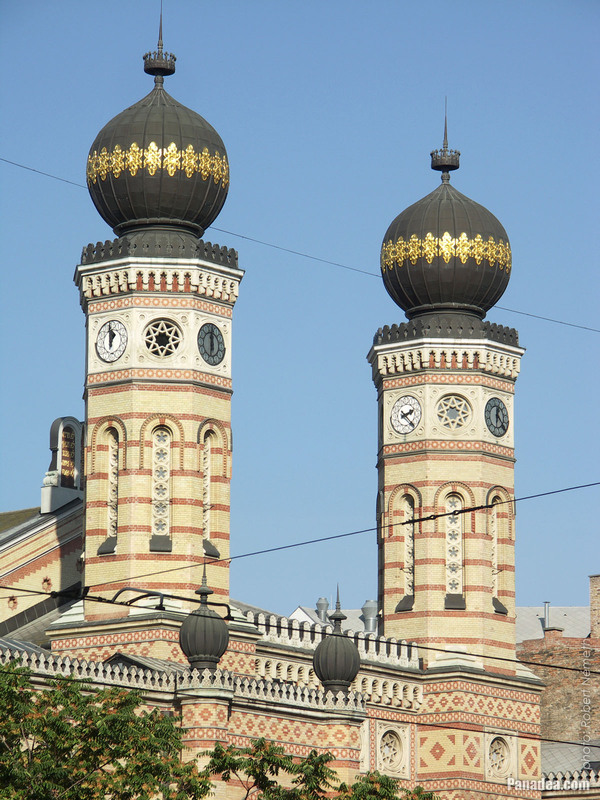 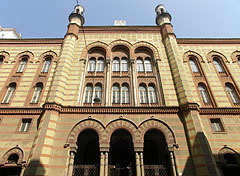 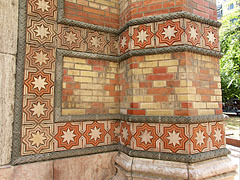 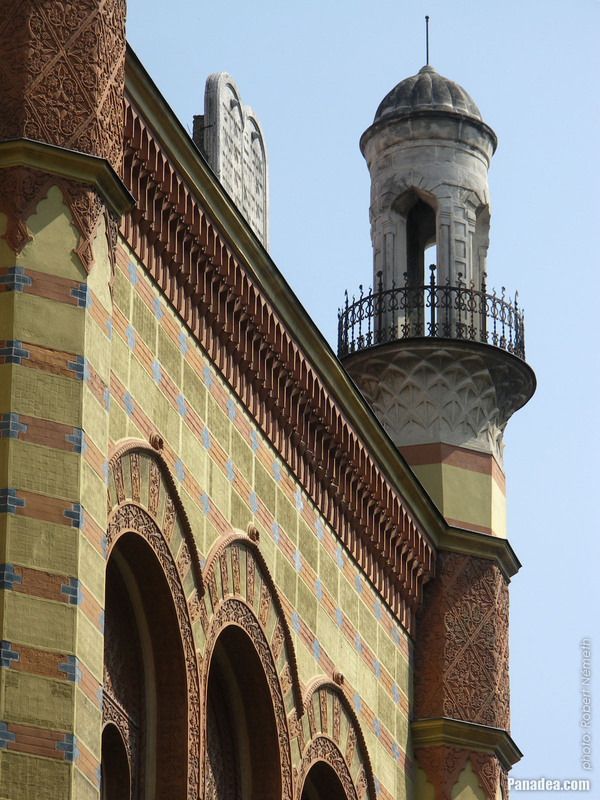 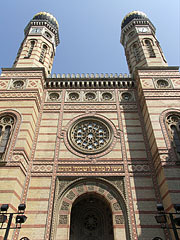 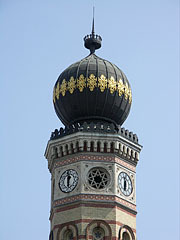 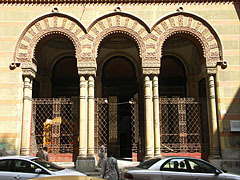 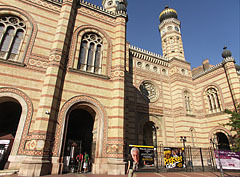 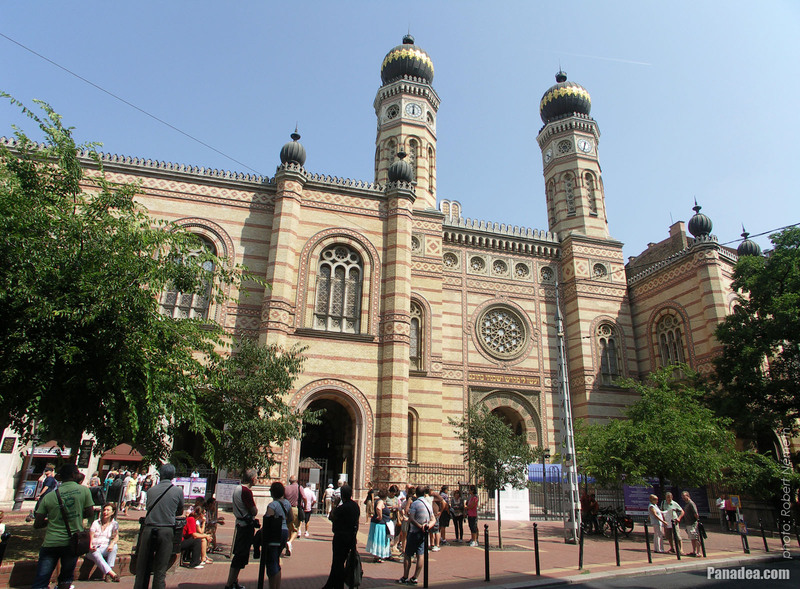 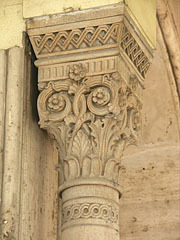 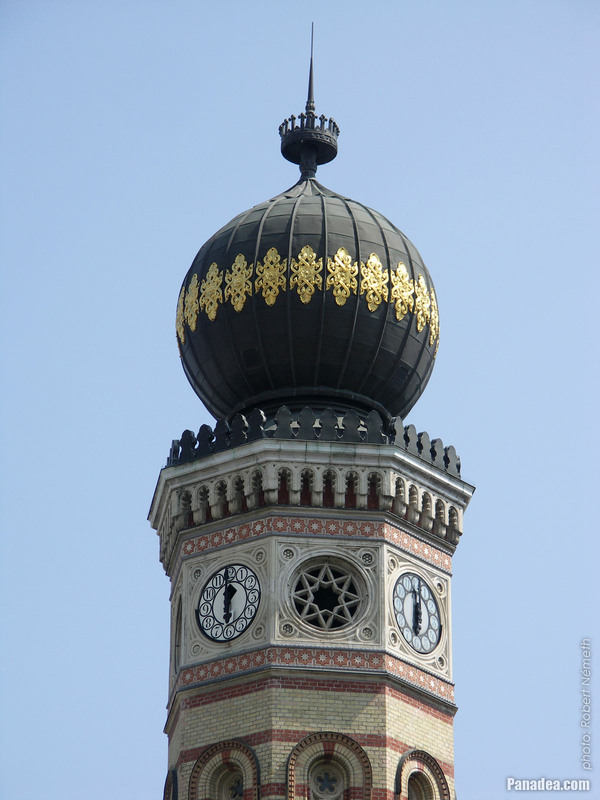 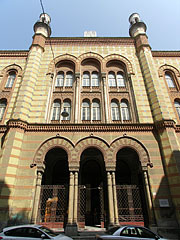 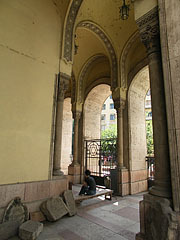 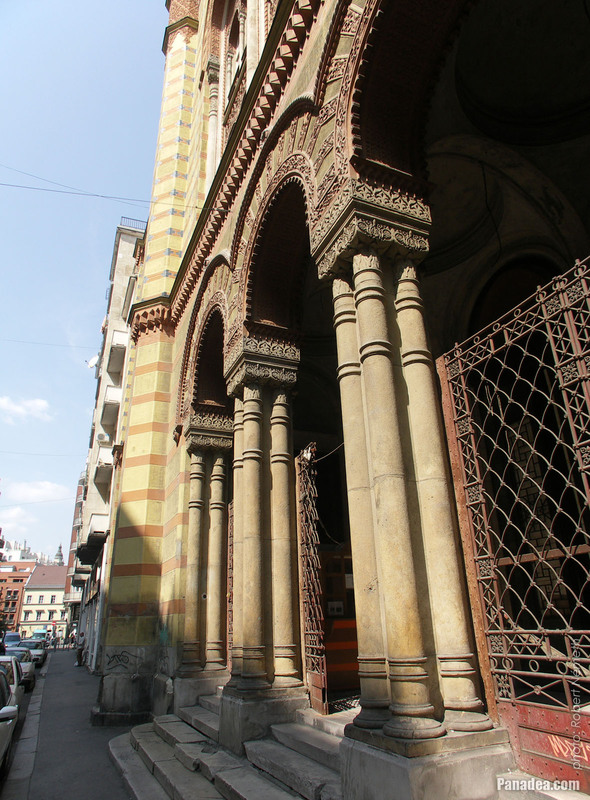 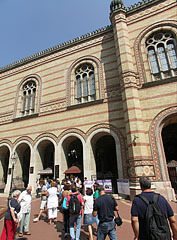 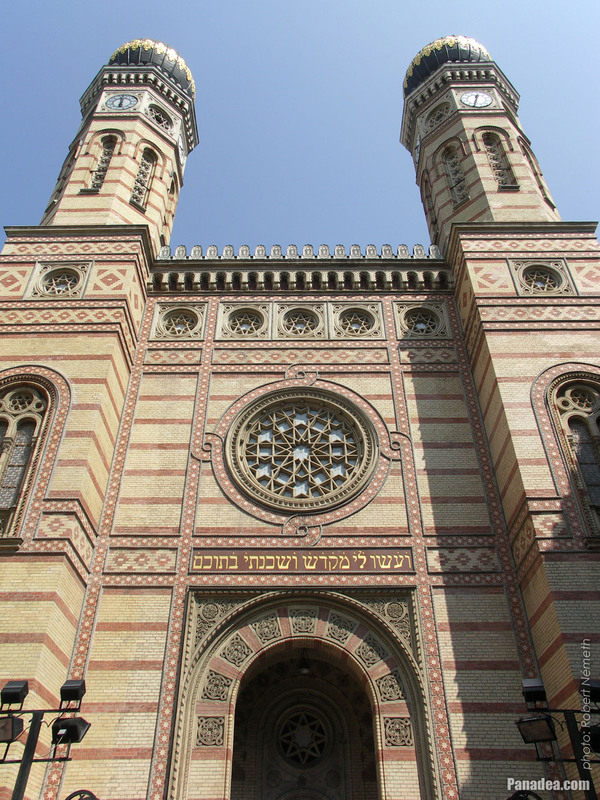 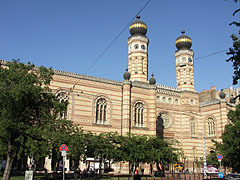 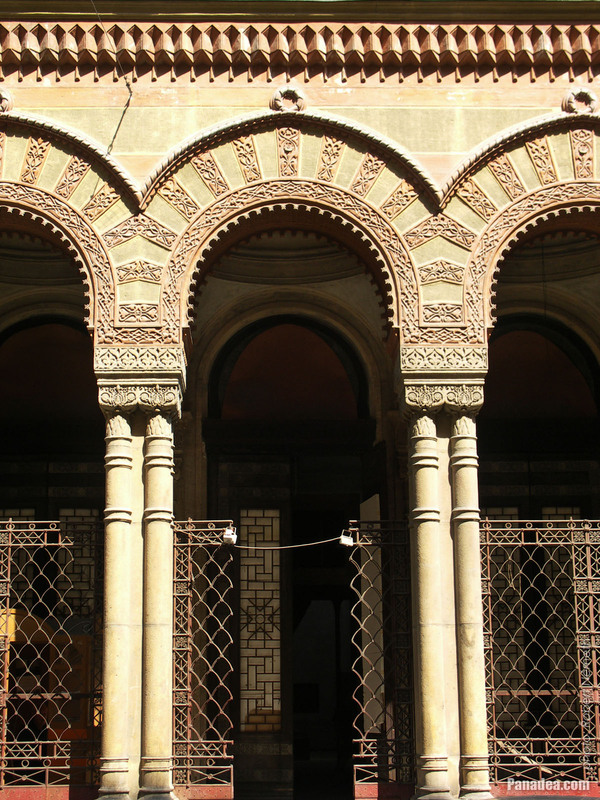 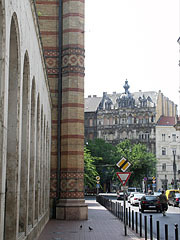 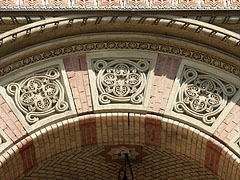 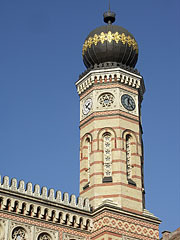 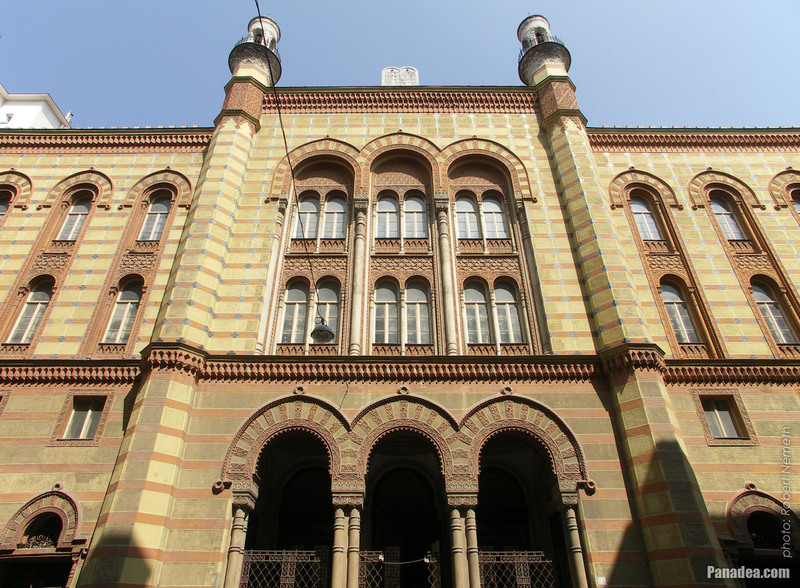 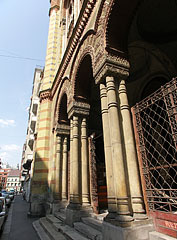 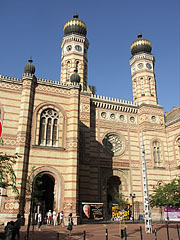 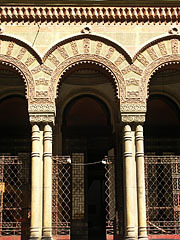 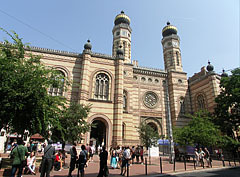 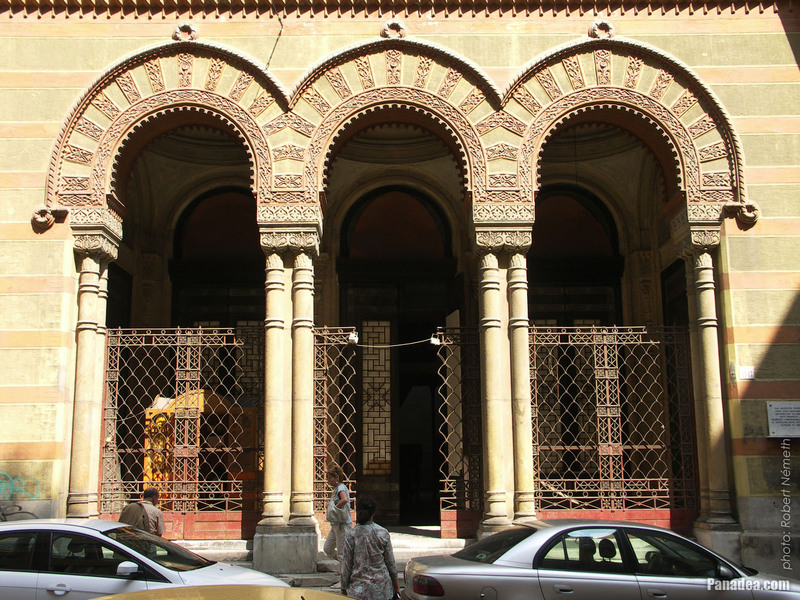 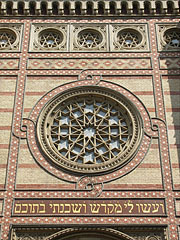 The moorish revival style neolog synagogue was built between 1854-1859, designed by Ludwig Förster Austrian architect. 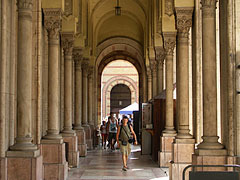 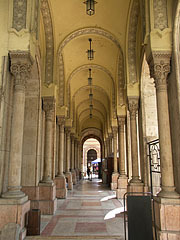 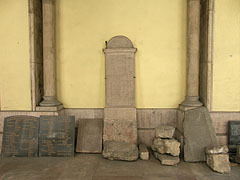 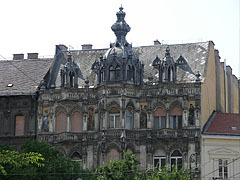 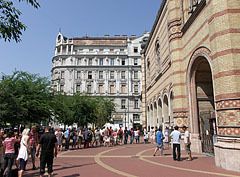 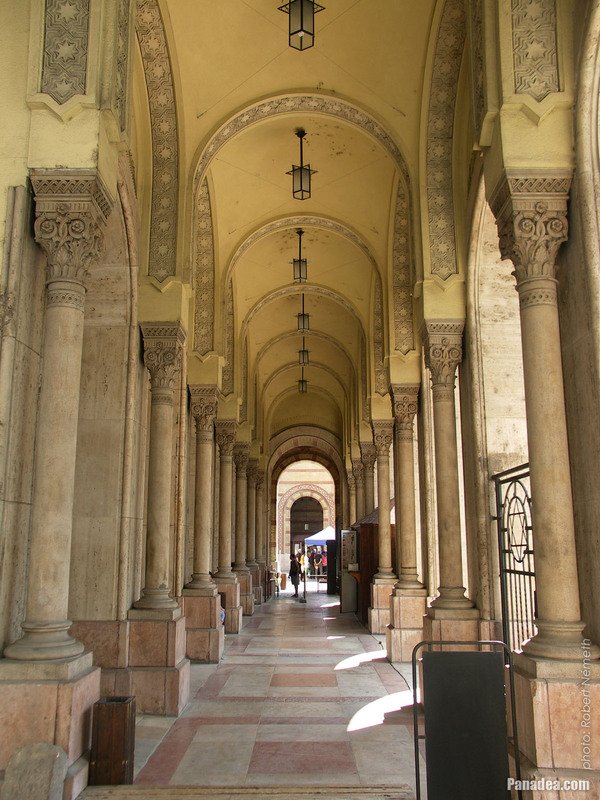 The last renovation was done between 1991-1996. This Jewish house of prayer was built between 1869-1872, designed by Otto Wagner Austrian architect. 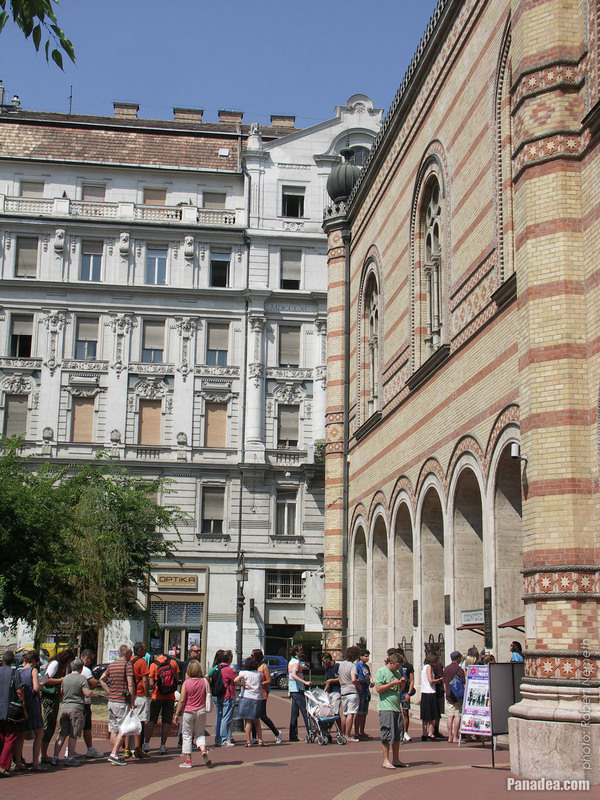 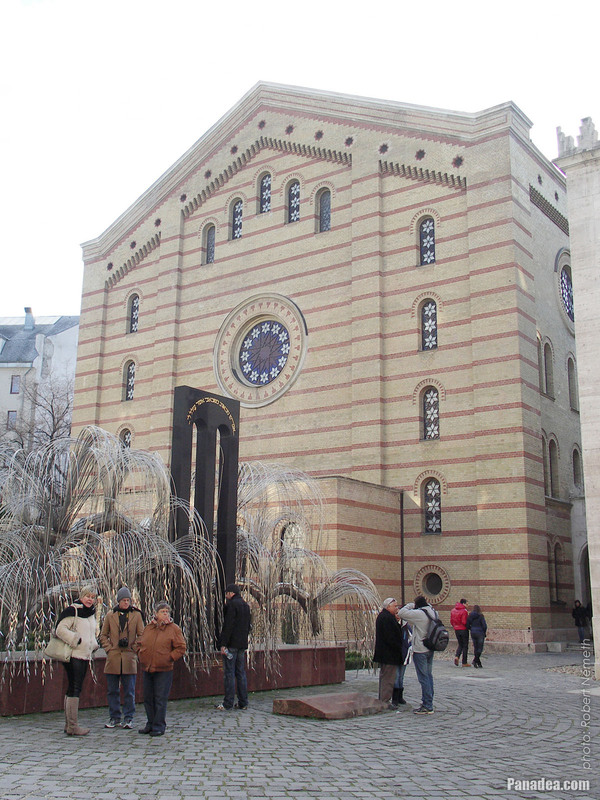 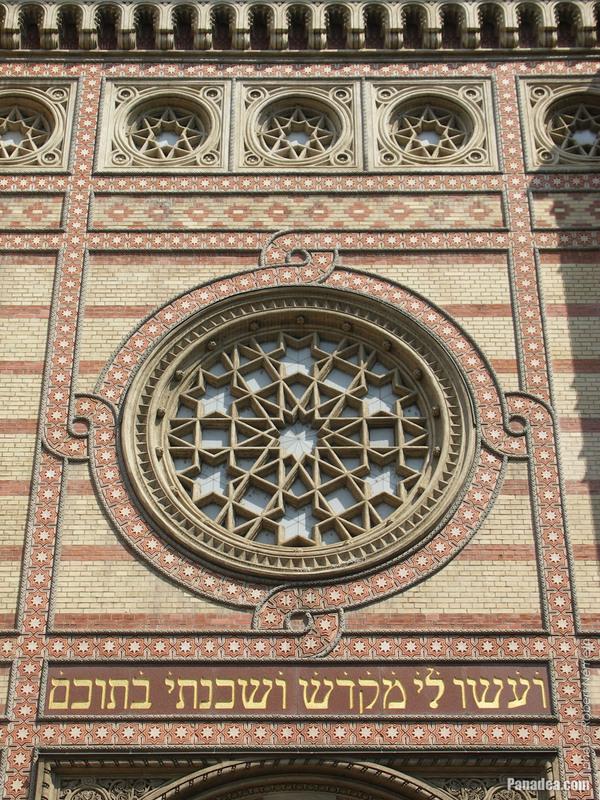 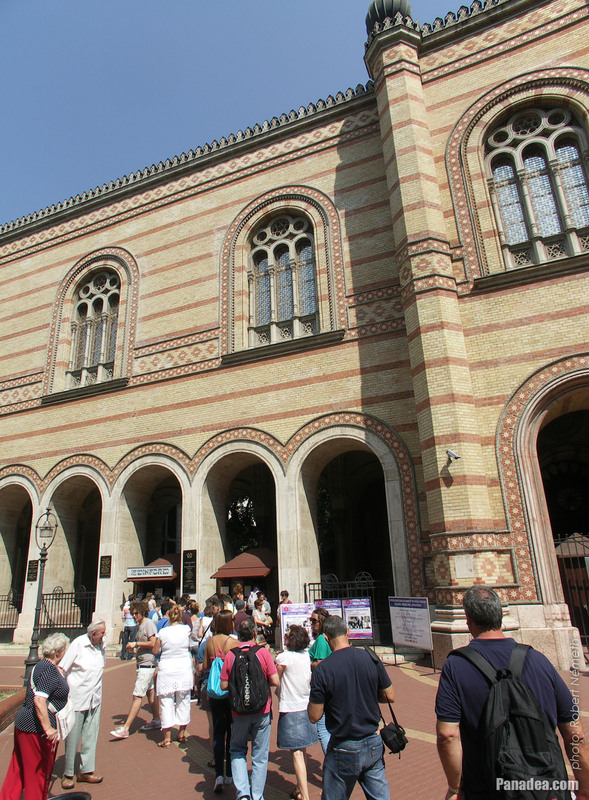 This is the largest synagogue in Hungary and in whole Europe. 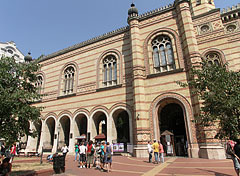 The building is 53 meter in length and 1,200 square meters of floor space, as well as there are almost 3,000 seats inside it. 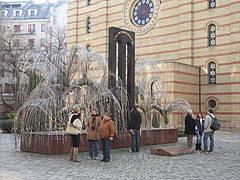 The surrealistic style stainless chromium steel sculpture on the black marble pedestal was created by Imre Varga in 2002, probably based on his statuette called "Forced March". 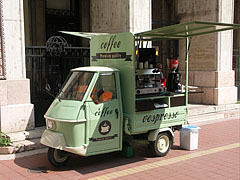 These iconic tiny vehicles are manufactured already since 1948 in Pisa, Italy (and in India as well). 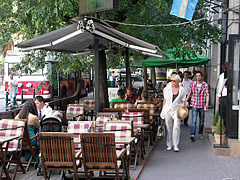 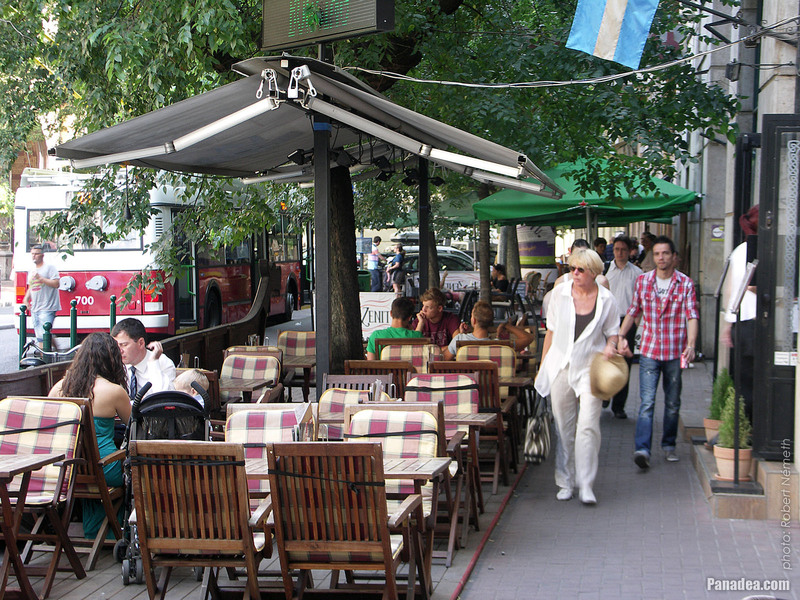 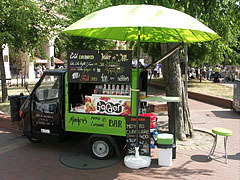 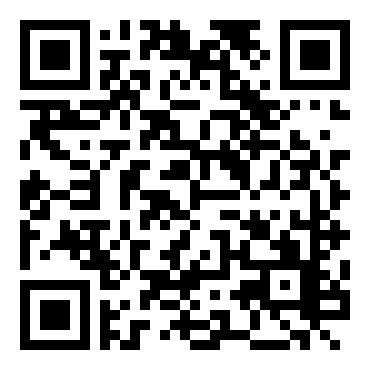 It has many models and variations and very popular in more countries. 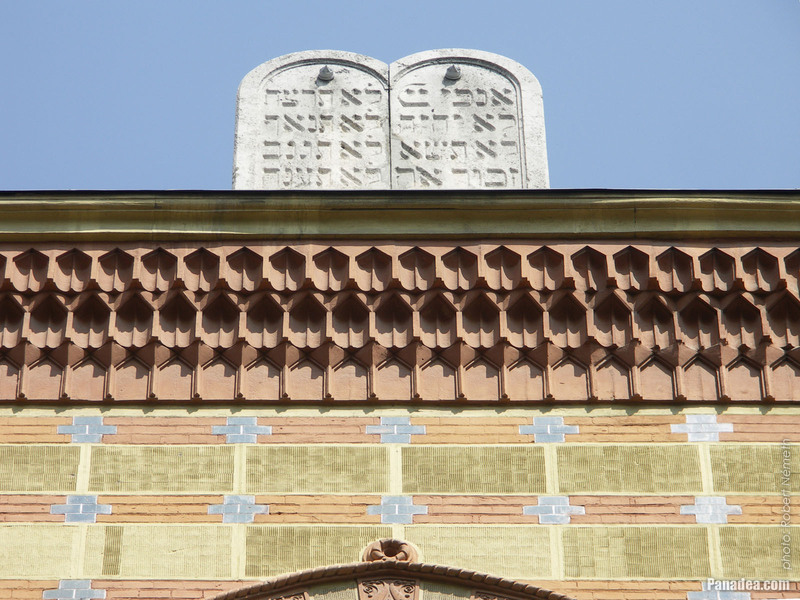 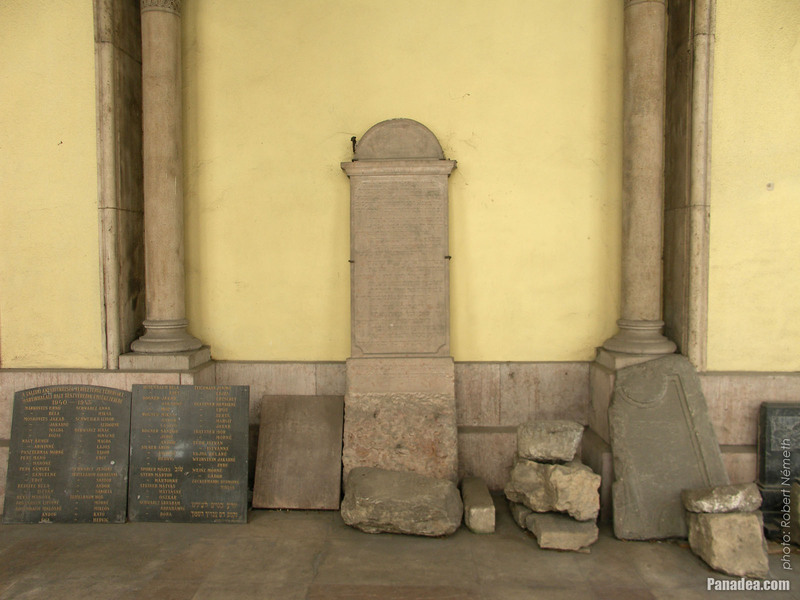 This sculpture can be found almost on every Jewish house of prayer (namely synagogue), and it symbolizes the two stone tablets which (according to the Judaism and Christianism) were given by the God (Yahweh) to Moses and contains the so-called Decalogue or Ten Commandments. 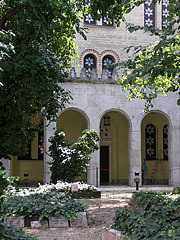 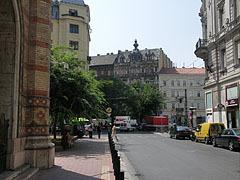 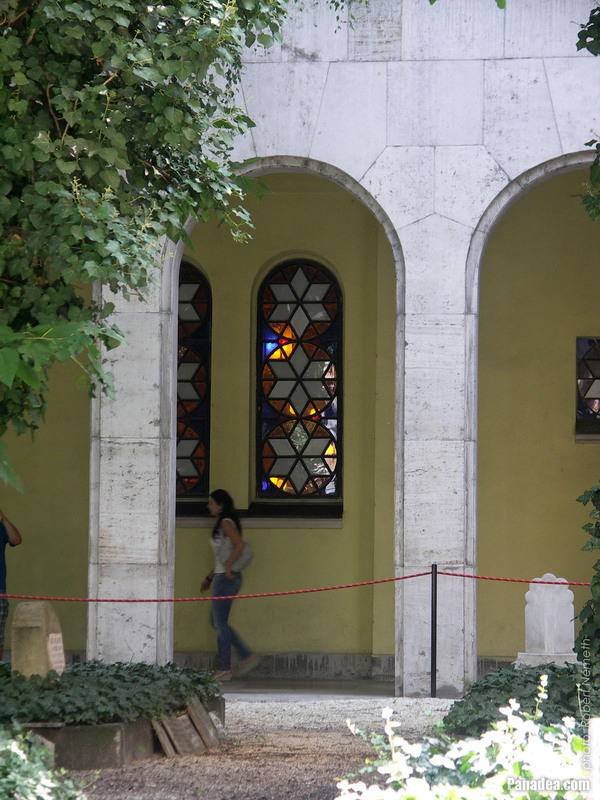 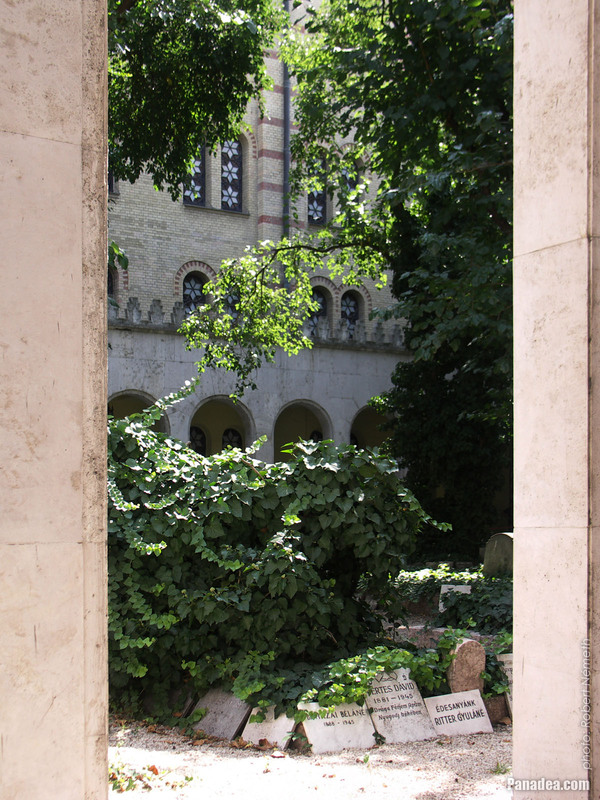 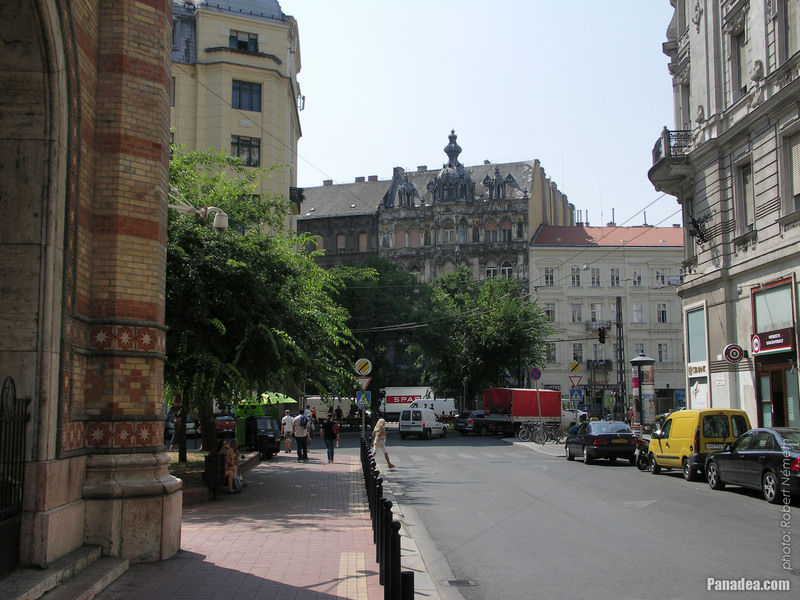 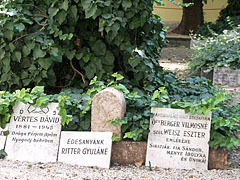 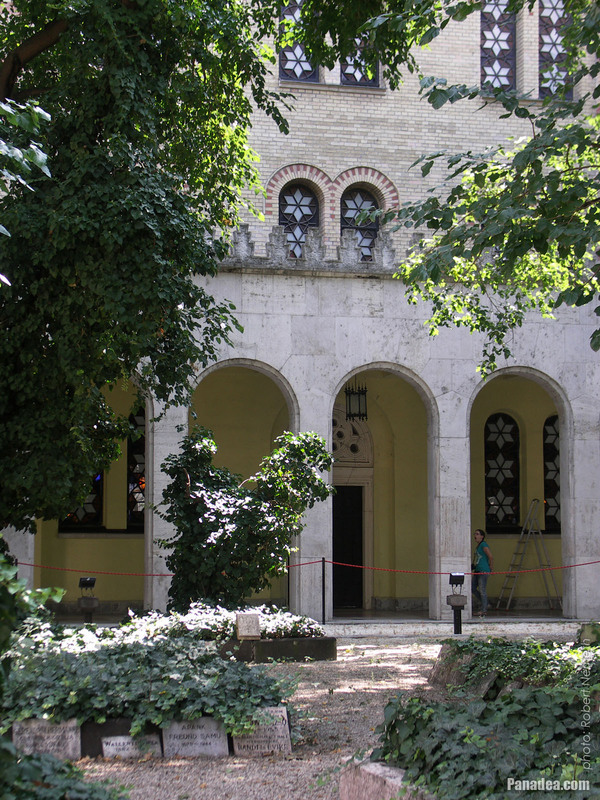 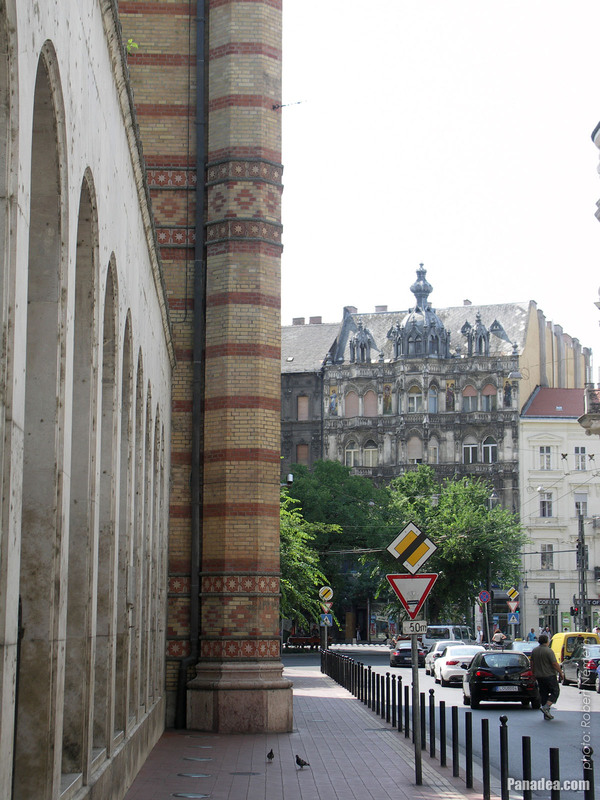 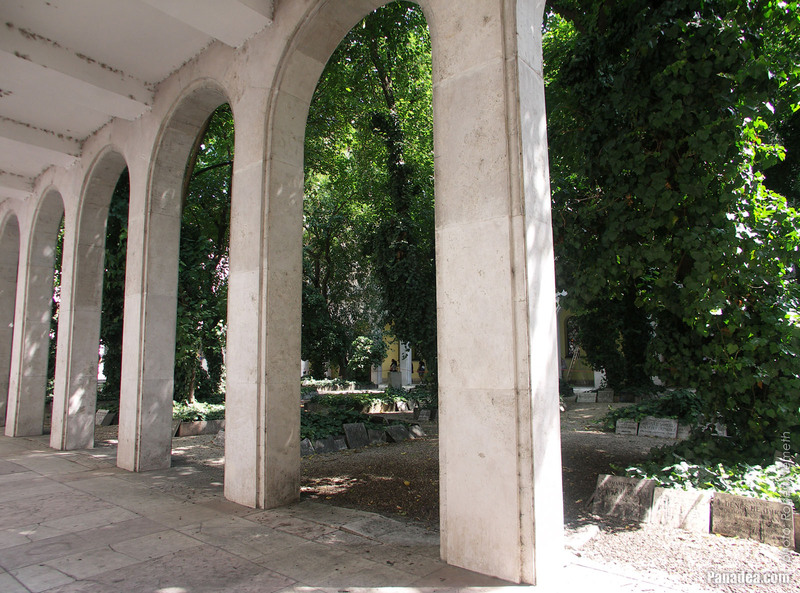 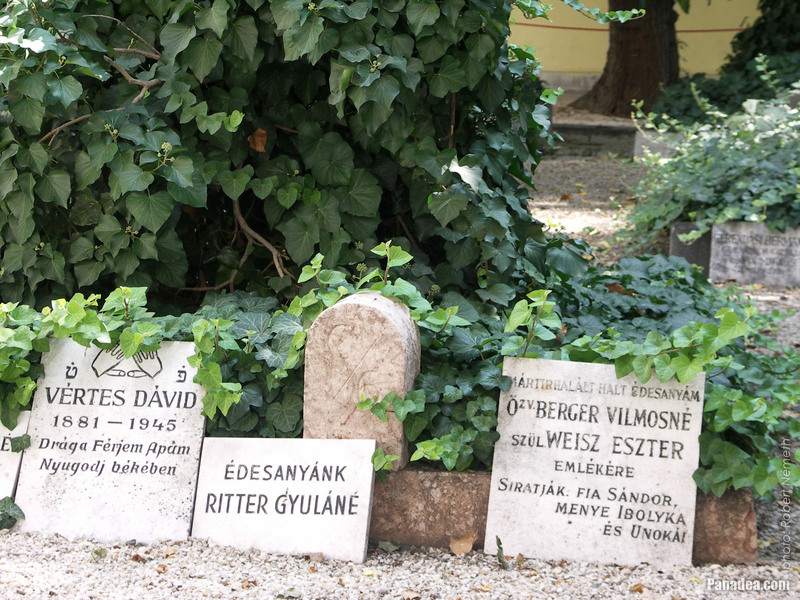 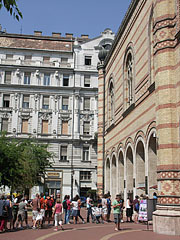 The Dohány Street Great Synagogue is the only one Jewish house of prayer that has a cemetery in its garden or courtyard. 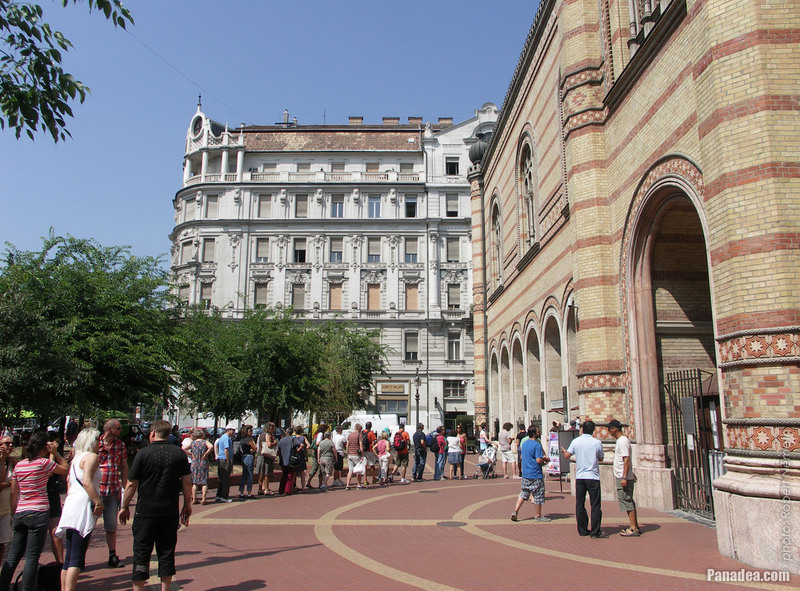 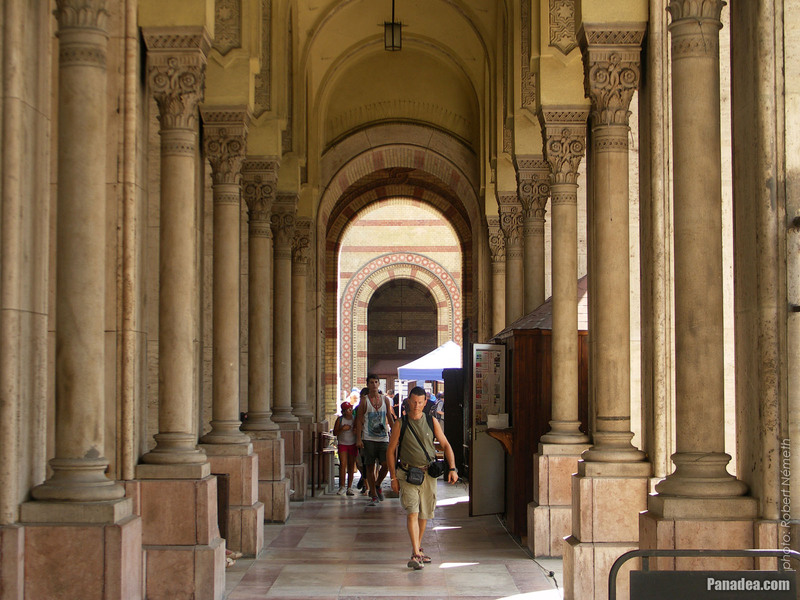 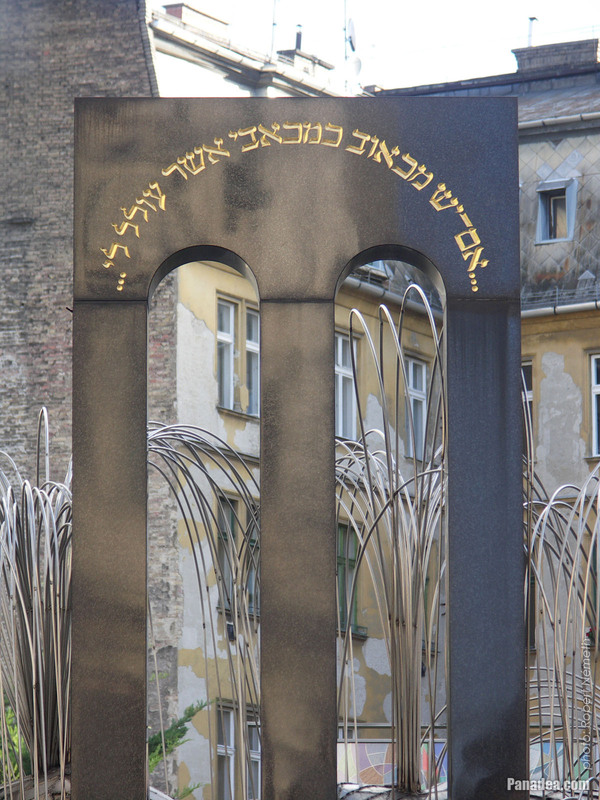 1,140 identified and 1,170 unidentified martyrs of the Jewish ghetto of the World War II were buried here at the end of the war, under the pressure of necessity. 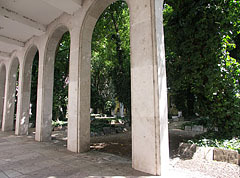 The Judaism disallows the burials in the immediate vicinity of the synagogues. But for the Jews the prohibition of the exhumation of the dead is an even stronger regulation, so the bodies and the tombs of the world war victims stayed here in the courtyard of the synagogue as oenof the sad mementos of the Holocaust. 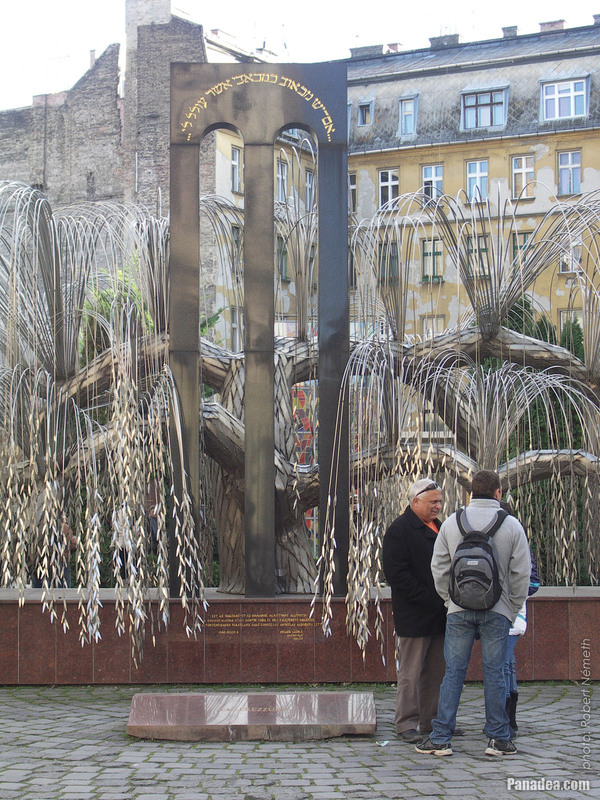 The Emanuel Memorial Tree monument was created by courtesy of the Emanuel Foundation, that was founded in 1987 by the Hungarian Jewish-born American film actor Tony Curtis (1925-2010). 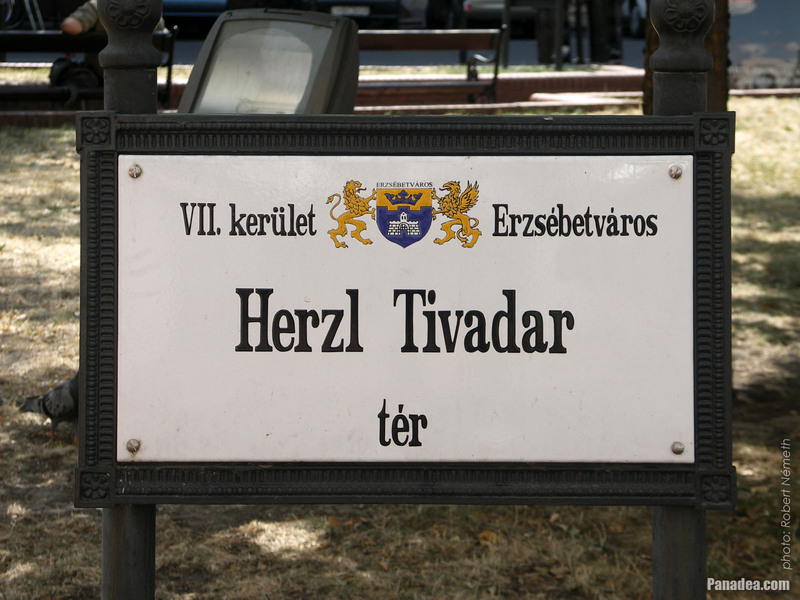 The name of the foundation refers to the father of the movie star, Emanuel Schwartz was emigrated with his family from Mátészalka, Hungary to the United States of America. Tony Curtis was born in New York as Bernard Schwartz, he used the artist's name since the beginning of his acting career and finally he became world famous with this name as well. 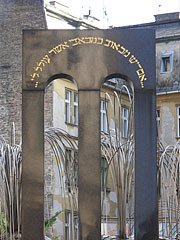 The sculpture in the backyard of the Dohány Street Synagogue (in the so-called Raoul Wallenberg Memorial Park) commemorates the about 600 000 Hungarian Jewish victims of the Holocaust in the World War II. 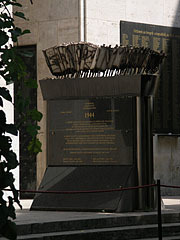 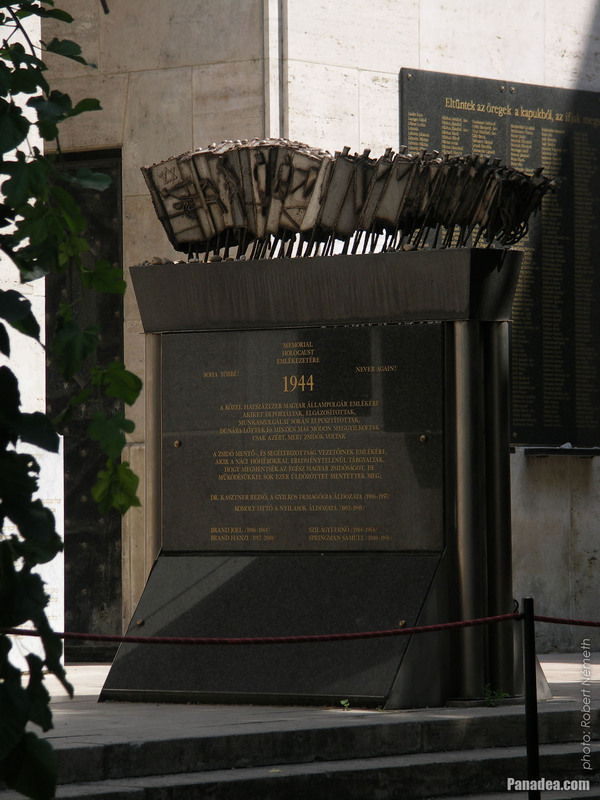 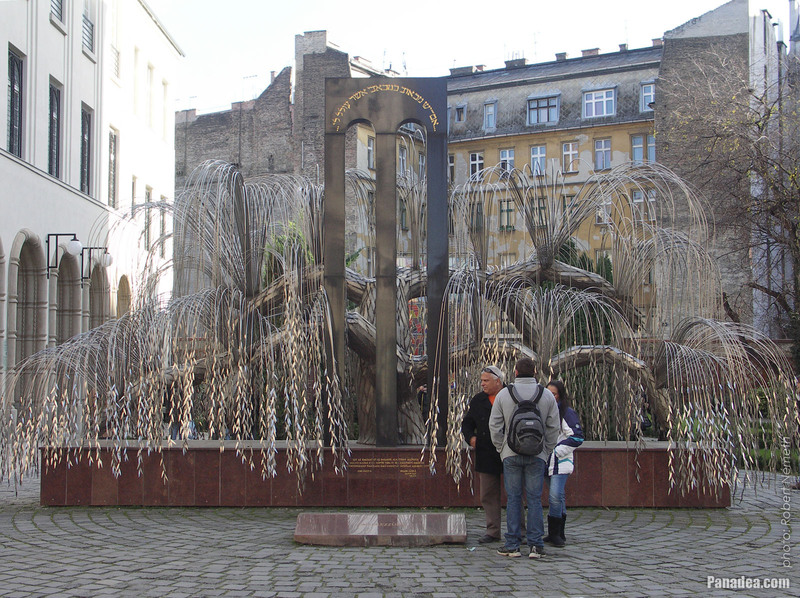 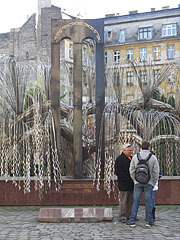 The contemporary style metal and marble sculpture represents a symbolic weeping willow tree, on the about 30 000 leaves the names of the martyrs can be seen. 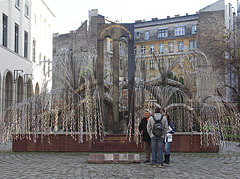 The composition was created by the Hungarian sculptor Imre Varga in 1990.